Black Panther is a 2018 American superhero film, and another blockbuster hit by MCU. This film is based on the Marvel Comic Character of the same name. Centuries ago, a war broke between five African tribes over a meteorite containing vibranium. One of the warriors gains superhuman abilities after he ingests a heart-shaped herb becoming the world’s first ‘Black Panther’. Black Panther made his first appearance in Fantastic Four, Comic # 52. 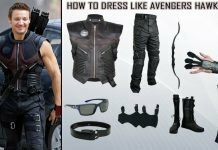 Then it was seen in Captain America: Civil war. By that time Black Panther was a lesser known super hero of Marvel World but rose to popularity after its solo movie reprising the same role of the comic character. In the present day, T’Challa is a prince who returns to Wakanda a fictional place to assume the throne that has been passed down for Generations. T’Challa is more concerned over protecting his nation than to fight crime in the city which is what makes him different from other superheroes. 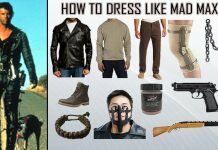 We’ve compiled a guide for this most sought after costume of the season and the outfit has been categorized accordingly. 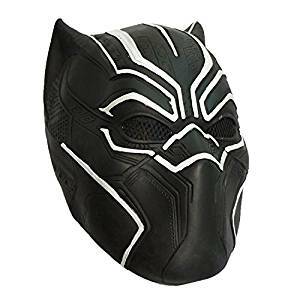 The signature mask is one of the basic element of Black Panther outfit. This mask is made of high level resin with 70% hardness and is durable. 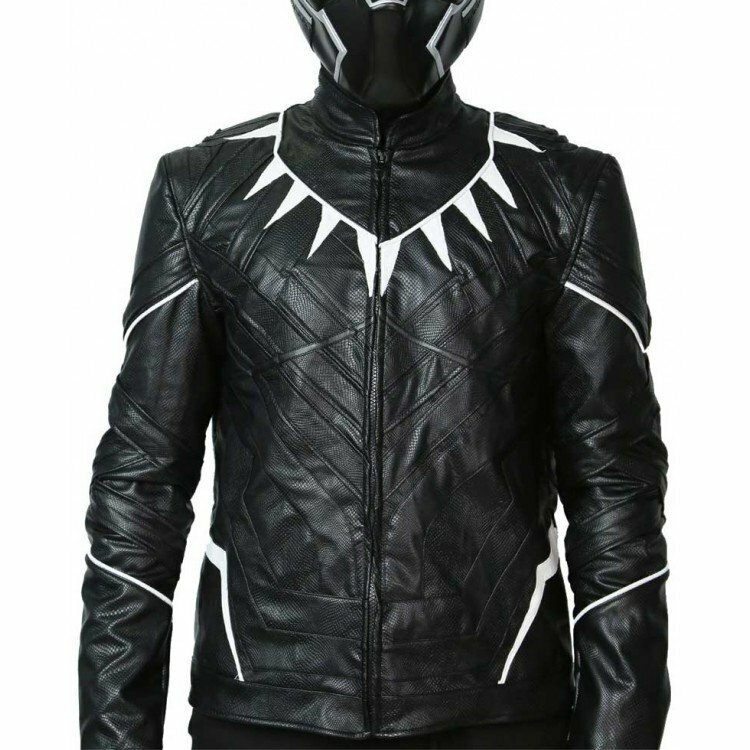 To master the coal tiger attire, you need this jacket made of Faux leather. 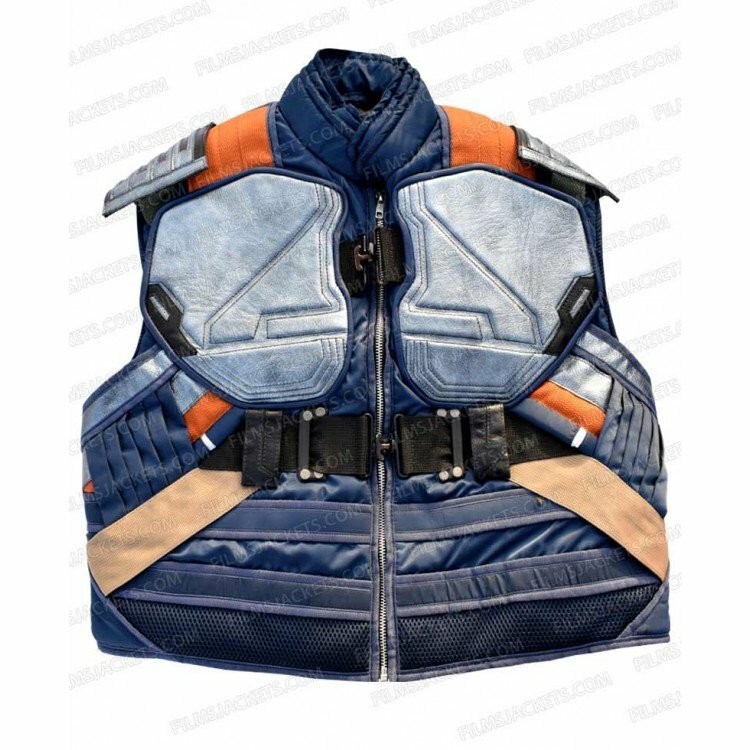 This jacket comes with Durable inner viscose lining to give you a comfortable experience with clean stitching and quality manufacture. 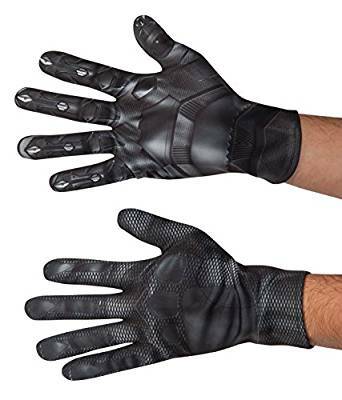 These coal black gloves made with 100% polyester are imported and hand washed. 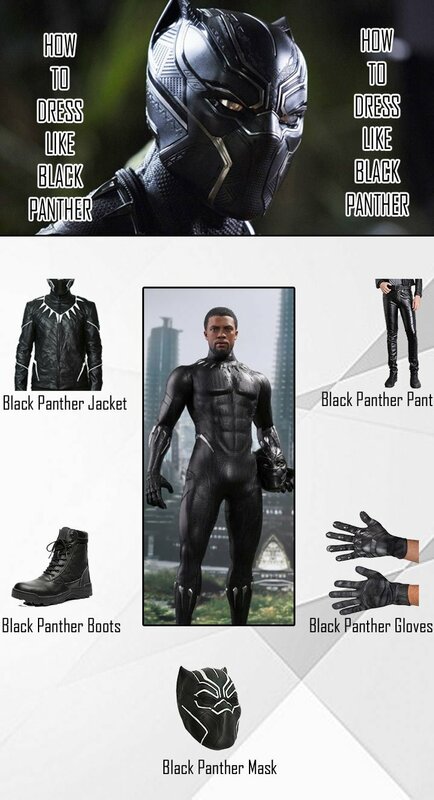 The more you want to look like a Black Panther, the more you’d want these gloves. 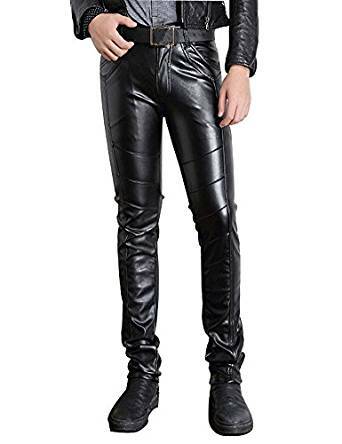 These all black leather pants will go perfectly well with the all black Panther Costume. These skinny Black biker pants are made with Faux Leather and will give you an authentic Black Panther look. 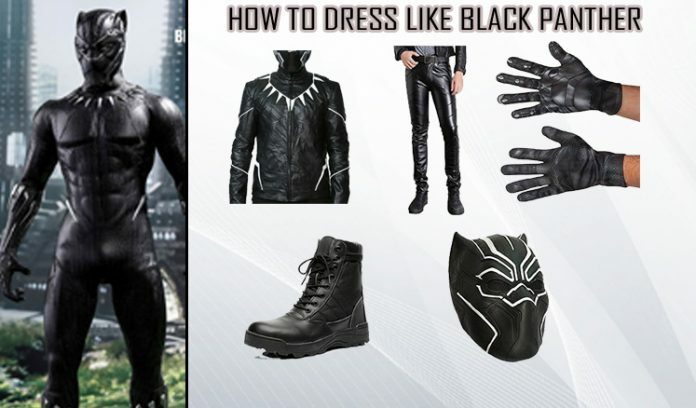 To complete the Black Panther Costume, you’ll need these sturdy looking shoes made with fabric-and-leather with a rubber sole. 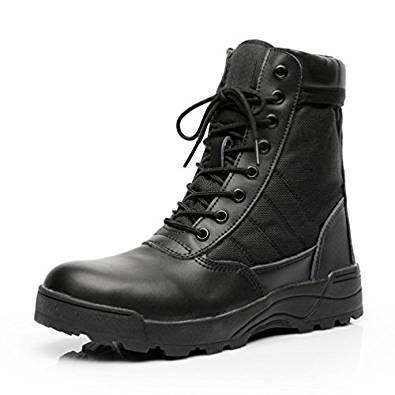 These heavy looking boots are pretty light weight and comfortable to wear. Any superhero is not superhero unless he has a powerful nemesis. But well, this one is a bit different. He is not arch-enemy of T’Challa and he is not after looting banks and hoarding money but what he is looking for is the revenge for the death of his father who was killed by then-King of wakanda and father of T’Challa. 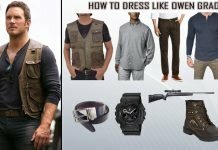 Killmonger is a fierce and Savage antagonist who will go by any length and do anything to get his revenge even if it cost any innocent lives. 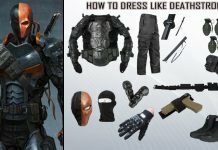 So, if you are more of an Antagonist type and less of a protagonist type, Kill monger costume is a perfect match for you. 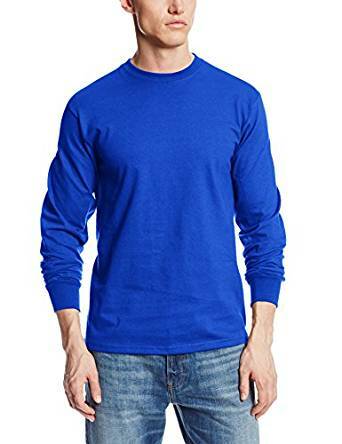 This long sleeve athletic-fit blue shirt with crew neckline and banded cuffs is made with 100% cotton goes perfectly well with the vest of Killmonger. 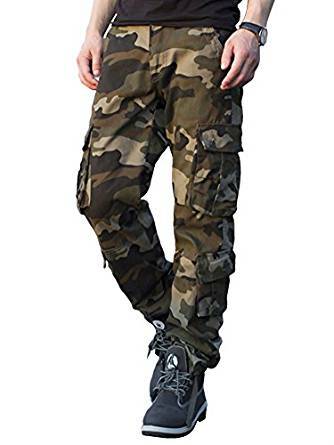 This military style trouser made with solid fabric, quality design and durability will be the classic next-to-final touch for your killmonger costume. 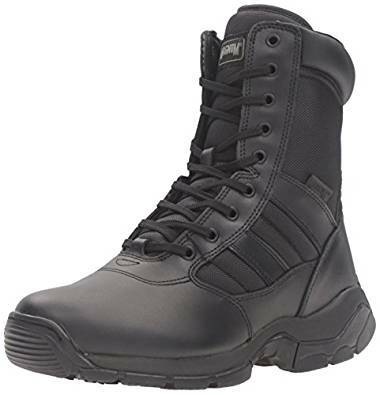 These shoes, featured in Black Panther costume will also go with killmonger costume as well. 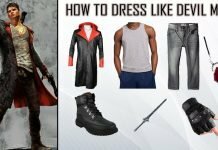 Apart from the Black Panther and Killmonger costume, these boots can go with any of your other casual attires. 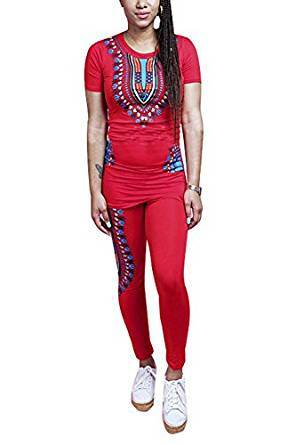 Nakia is also a heroic figure in Black Panther. She is a wakandan spy and a brief-moment lover of T’Challa. She is also the member of War Dogs, and is often sent on missions around the world. She is an expert spy, Martial artist and an expert in Multilingualism. 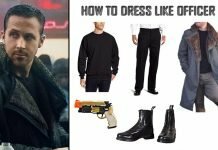 Nakia sure has a fashion sense and is a most sorted among the female fans of Black Panther. 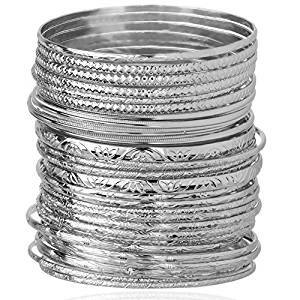 The great looking sleek and shiny silver multi bangle set is surely a nice choice made by Nakia. You’ll be looking all class and traditional in these bangles along with one step closer to Nakia costume. 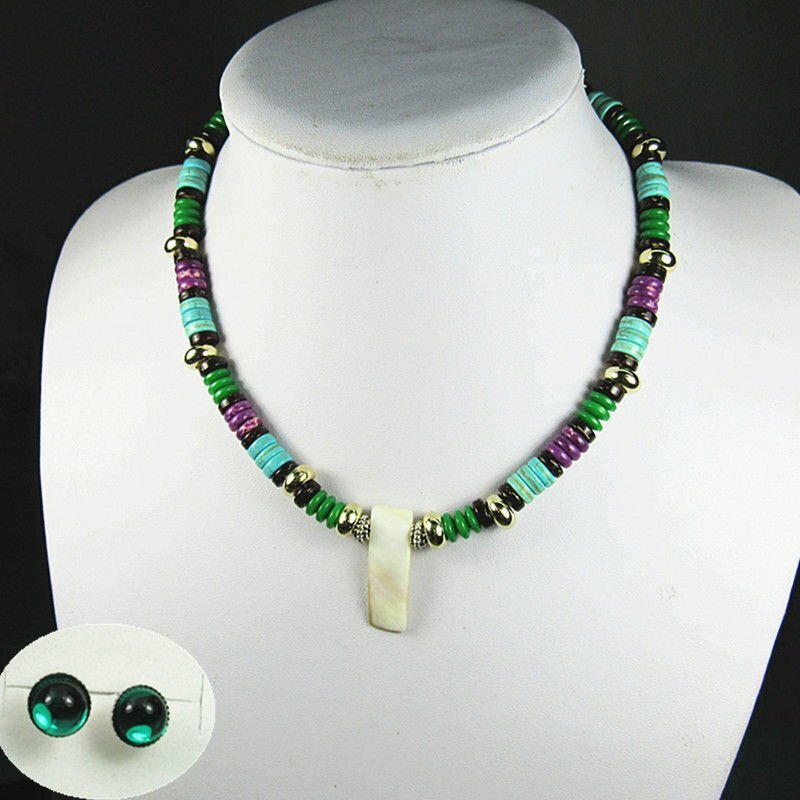 Nakia has been seen wearing these coconut shell necklace and earrings with colorful beads. 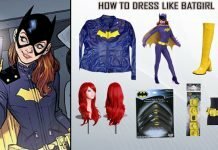 These accessories are trendy enough to be used other than Nakia Costume. Nakia’s choice of weapons are Ring blades. Her attire wont be completed withouth these Vibranium Ring blades aka Chakram. 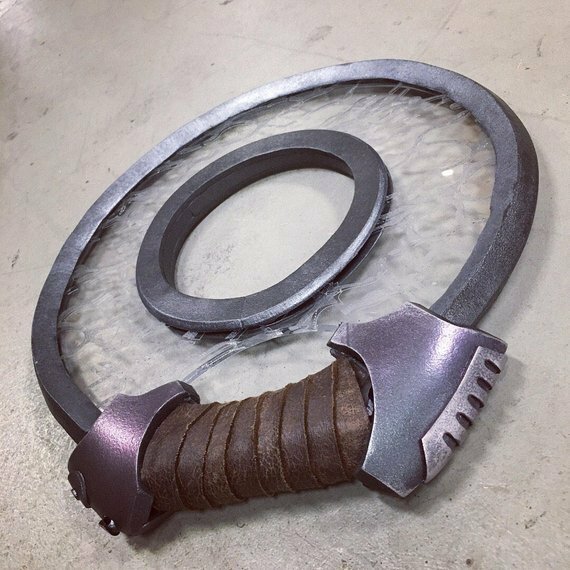 Ring blades are charged with some sort of energy and are bounced back to Nakia after throwing them to anyone.